The Hosta Society of North Alabama is proud to be hosting the 2016 Dixie Region Meeting on June 2-4. Our Society is based in Huntsville, Alabama, and encompasses a 5 county area located in the mountains and lakes of the Southern Appalachian mountain chain, through which winds the southernmost point of the Tennessee River. It is a land of great natural beauty. Huntsville, the “Rocket City”, is home to the NASA Marshall Space Flight Center and the U.S. Space and Rocket Center Museum. Many high tech companies are located here. Thursday, June 2: Arrive by late afternoon; Registration open from 4-8; Vending open, Silent Auction open, Hostatality Room open from 8-11. Dinner on your own. Friday, June 3: Complimentary Hotel breakfast (opens at 6 am); Registration open 7-8 am. Meet outside hotel at 7:30 to begin touring 4 local gardens by car. Suggested routes will be provided. Return to Hotel by 12 noon for Buffet lunch, Dixie Region meeting and our Speaker Session, until 4:00 pm. Afterward, free time to shop vendors and dinner on your own. Vending open from 10-5:30. Hostatality Room open 8-11 pm. Sunday, June 5: 10-12 – For those who sign up at registration check-in, there is a docent guided tour of the US Space and Rocket Center Museum, at a special group rate. More information will be available at sign up. Also several local gardens will be open and listed in the Convention Handbook. Registration Deadline is April 22. Registration fee for the meeting is $125.00. Late Registration, add $50.00. Download the Registration Form from the Dixie Website: www.dixiehosta.org. Register at hotel by May 1st to get special convention rate. Mention Dixie Region meeting. Registration is limited to 100 attendees. If you have any questions, contact Convention chairman, Mary Terrell: marydterrell@gmail.com. Our Convention Hotel is The Best Western Plus in Madison, the sister city to Huntsville. It is conveniently located off of I-565, and less than 10 minutes from Huntsville International Airport. The Hotel is a full service hotel with 164 rooms, restaurant and lounge, and has just recently completed a multi-million dollar renovation. The Convention room rate is $88.00 per night, and includes breakfast. Contact the hotel directly at 256-772-7170, by April 30th, and mention Dixie Region to get this rate. The Hotel is conveniently located near many restaurants and it is a short drive to “Bridge Street”, an open air shopping and entertainment center, with high end shops and gourmet restaurants. The Huntsville Botanical Garden is less than 10 minutes away. We think you will like this location!! We will be touring eight private gardens and one public garden on Friday and Saturday. Because our Society covers a large area, we will see some by bus on Saturday. 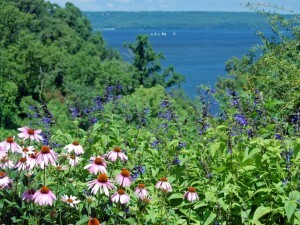 All are very different, from an exquisite example of a small patio home garden to a Hosta and Daylily collectors garden, with over 200 hosta grown mostly in pots and over 600 daylily cultivars, in a beautiful location overlooking Lake Guntersville. 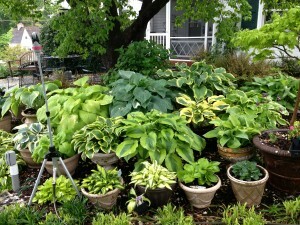 “Designing Your Landscape With Hosta”- Susan K. Webb is a professional landscape designer with Tally Landscape Services, and a partner in Hurricane Valley Ornamentals, a wholesale perennial plant nursery. She gives presentations and teaches short courses on landscape design, plant cultivation and garden decoration. Susan is a founding member of HSNA. “The Art & Science of Growing Hosta in the Dixie Region” – Bob Solberg is a nationally known hybridizer and owner of Green Hill Farm Hosta nursery in Franklinton, North Carolina . 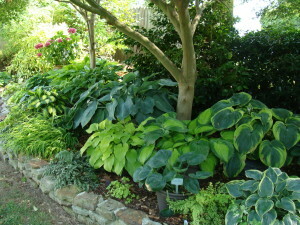 Bob will offer his expertise in growing hosta in our somewhat challenging environment. Banquet Speaker: Harvey Cotten, former Vice President of Horticulture and Education for the Huntsville Botanical Garden, and a well- known and respected plantsman.